Martin Rosen represents insurers and other large corporations in sophisticated litigation matters in both state and federal courts. He focuses his practice in the area of insurance bad faith litigation, with particular emphasis in the areas of disability, life and health bad faith law; long term care; ERISA litigation issues; annuity suitability and related issues; insurance agency law; class action law; unfair trade practice litigation; and financial institution and general business litigation. Mr. Rosen frequently advises his insurer clients on ways to minimize their exposure to bad faith litigation. He practices at both the trial and appellate levels. 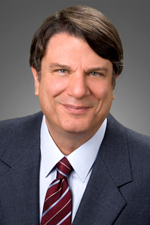 Mr. Rosen became a partner at Hinshaw & Culbertson LLP in October 2014 as a result of the merger of Hinshaw and the Los Angeles-based firm of Barger & Wolen LLP. "Disability Mediations: Tips From an Outside Counsel," Definitive Disability Conference 2, Boston, Massachusetts, October 2015. "Mock Disputed Disability Claim Mediation," International Claim Association, Chicago, Illinois, October 2013. "Mock Disputed Disability Claim Mediation," International Claim Association, Orlando, Florida, October 2012. "Disability Jeopardy!" 2012 Eastern Claim Conference, February 2012. "What's New Legally in Insurance Disability Bad Faith," 2010 Western Claim Conference, Indian Wells, California, June 2010. "Point/Counter Point: The Plaintiff and Defense Bar Speak Out on Dealing with Bad Faith Claims in Disability Insurance Litigation, American Conference Institute, Litigation Disability Insurance Claims Conference, Boston, Massachusetts, June 2010. "Disability Jeopardy!" 2010 Eastern Claims Conference, New York New York, March 2010. "Mediating the Litigated Disability Lawsuit," New England Claim Association, Springfield, Massachusetts, November 2008. "Mediating the Litigated Disability Lawsuit," International Claim Association, 99th Annual Educational Conference, Palm Desert, California, September 2008. "Disability Legal Update, A Nationwide Review of Disability Bad Faith Litigation," American Conference Institute, 10th National Advanced Forum on Resolving Disability Insurance Claims & Litigation, Boston, Massachusetts, June 2007. "Legal Update: California Disability Litigation," Eastern Claims Conference, March 2006. "Disability Roundtable," Western Claim Conference, June 2005. Mr. Rosen has been interviewed and quoted in a number of publications, and was the subject of a Law360 Q&A in June 2013. "A Medley of Interesting Disability Cases: Reviewing 2013 Cases," Sixth Annual Legal Disability Update, Barger & Wolen LLP, August 2014. "ERISA Long Term Disability Claim Barred By Failure to Exhaust Administrative Remedies," co-author, DRI's The Voice, Volume 13, Issue 20, May 21, 2014. "An Ensemble of Interesting Disability Cases," Fifth Annual Legal Disability Update, Barger & Wolen LLP, Spring 2013. "A Cavalcade of Interesting Disability Cases," Fourth Annual Legal Disability Update, Barger & Wolen LLP, Summer 2012. "A Smorgasbord of Interesting Disability Cases," Third Annual Legal Disability Update, Barger & Wolen LLP, Fall 2011. "A Cornucopia of Interesting Disability Cases," Second Annual Legal Disability Update, Barger & Wolen LLP, July 2010. "A Potpourri of Interesting Disability Cases," Legal Disability Update, Barger & Wolen LLP, Fall 2009. "A Prequel of Interesting Disability Cases," Legal Disability Update, Barger & Wolen LLP, Fall 2008. Mr. Rosen is also a magician and member of the Magic Castle, a private social order devoted to the advancement of magic. Mr. Rosen has served in the local community as a Judge Pro Tem.